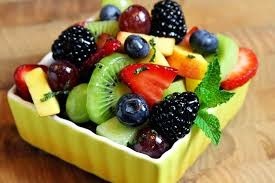 ALSO, fruits are high in the fructose (which is the main reason people trying to lose weight remove it from their diet). But unlike glucose - the most common simple sugar that's sent to your muscles, brain, and other organs for them to use as energy - fructose is only processed by your liver. If your liver already has ample fats then too much fruit could tip that scale.